Dominika is a member of Rustiqua dance company for almost 10 years. 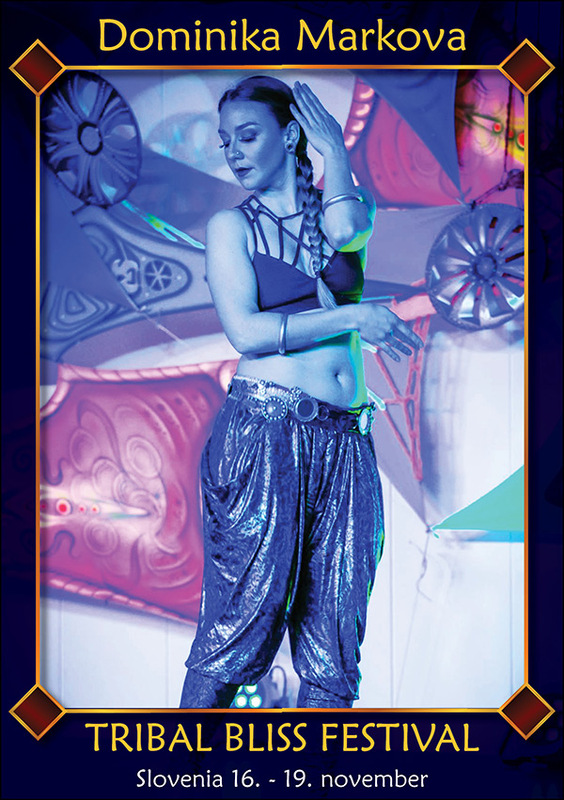 Based in Bratislava/Slovakia giving regular classes of fusion belly-dance and traveling the world to take part in international Tribal Fusion festivals. In 2015 she took place in ODI (Orchidaceae dance intensive) hosted by Piny Orchidaceae, which changed her life as a dancer. She started to focus more on developing as a solo performer and cross training in other urban dance styles, which she is incorporating to her own art form. She is a keen practitioner and certified teacher of Ashtanga yoga. In 2016 she finished her studies as physiotherapist and is currently interested in dance therapeutics.